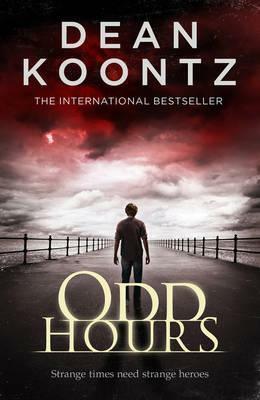 Title/Author: Odd Hours by Dean Koontz. Synopsis: The legend began in the obscure little town of Pico Mundo. A fry cook named Odd was rumored to have the extraordinary ability to communicate with the dead. 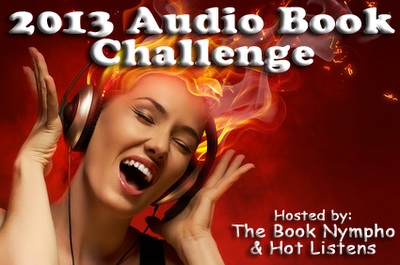 Through tragedy and triumph, exhilaration and heartbreak, word of Odd Thomas’s gifts filtered far beyond Pico Mundo, attracting unforgettable new friends—and enemies of implacable evil. With great gifts comes the responsibility to meet great challenges. But no mere human being was ever meant to face the darkness that now stalks the world—not even one as oddly special as Odd Thomas. After grappling with the very essence of reality itself, after finding the veil that separates him from his soul mate, Stormy Llewellyn, tantalizingly thin yet impenetrable, Odd longed only to return to a life of quiet anonymity with his two otherworldly sidekicks—his dog Boo and a new companion, one of the few who might rival his old pal Elvis. But a true hero, however humble, must persevere. Haunted by dreams of an all-encompassing red tide, Odd is pulled inexorably to the sea, to a small California coastal town where nothing is as it seems. Now the forces arrayed against him have both official sanction and an infinitely more sinister authority…and in this dark night of the soul dawn will come only after the most shattering revelations of all. My Thoughts: Aliens and dogs. Those are the ideas that Koontz left me with in Odd Thomas. I'm not really spoiling anything so just bear with me. First of all, I really love Odd. I truly think he is one of the most memorable characters in Horror/Dark Fiction and definitely Koontz's most memorable and probably most popular. 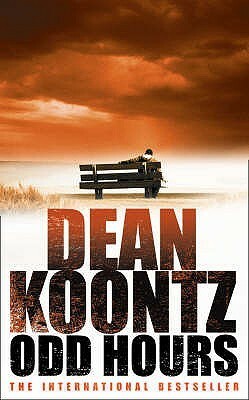 I've loved other Koontz books, but I can't remember anyone's name in particular to be honest. Maybe it's because it was the title of the first book in this saga or maybe it's because he is just a compelling character and a tragic hero. Odd is a good person. Wonderful really. If I had his gift, I would probably be on the talk show circuit. But not Odd. He just wants a simple life and does not seek fortune or fame. Just a little peace. In Odd Hours, we are introduced to Annamaria, a pregnant young woman who plays a key role in the dangerous events that are swirling around Odd. She is a very strange, elusive character who speaks in riddles and my prediction is that in the next installment she is going to reveal that she is an alien. Her character reminds me of the character Deliverance Payne in his book Tick Tock. Her dialogue with Odd is filled with cryptic statements that is very similar. A bit too similar for her to be original for me, but she is still likeable. Also in this book we meet Odd's new employer, a retired actor. 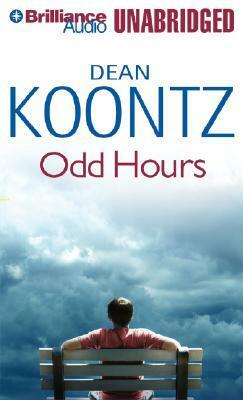 He is a very funny and endearing man and has the quirks that we expect with a Koontz story. Also, Elvis has moved on and now Frank Sinatra is keeping company with Odd. Although I kind of miss The King, Ol' Blue Eyes is a refreshing change and gives a nice spin to the story. The plot of this story is not out of the realm of possibility, especially in this day and age, but the fact that Odd is able to thwart these villains without any help from authorities had me a little dubious. Of course though, after watching The Following I'm not sure I would completely trust the FBI to keep me safe. Time is a factor in Odd's decision to carry out his own plan, which I understood and anyway, I guess Odd has prevailed enough in the past to give him the confidence and skills to beat any bad guys. This is a thriller with the clock ticking and Odd is very aware of that. The events happen quickly yet there is a lot of exposition. While I appreciated the short biography of Mr. Sinatra and actually found it interesting, it was long as were a lot of other parts. I actually had to skip most of a disc because it wasn't working, but when I put the next cd in, it was practically in the same spot. Odd tends to overexplain his thoughts. Some are beautiful, but sometimes I feel that less is more. One exquisite piece of writing however, is when Odd (and hence Koontz) talks of the death of a loved one and the deeper meaning of how it relates to life. "...you're driven to your knees not by the weight of the loss but by gratitude for what preceded the loss. And the ache is always there, but one day not the emptiness, because to nurture the emptiness, to take solace in it, is to disrespect the gift of life." Exquisite. Why do I think of dogs when I think of Dean Koontz books? He includes them quite frequently, which I actually love and Odd Hours includes a ghost dog who helps him and a dog, a Golden Retriever of course, who he liberated from another home. Narration: The narration was done well. Characters were differentiated I liked how he portrayed Odd's voice and cadence. Also the women weren't ridiculously portrayed. The voices of the thugs were pretty funny as well. 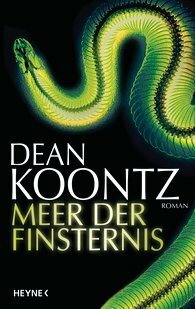 All in all: Odd Thomas lovers will want to read this as it sets up the next installment. I felt kind of ambivalent about the story. It didn't grab me but I always like spending time with Odd. Labels: Dean Koontz, Odd Thomas, Supernatural, thriller. I've read the first three Odd books; I haven't read this one yet. Koontz writes dogs very well. Watchers is one of my favorite books of all time. You made me stop and think about other Koontz characters. Along with Odd, I remember Christopher Snow pretty vividly, too. That's a great series, too, if you haven't read it yet. Kate loves this series, but I didn't fall in love with it. I'm glad you enjoyed it though! I appreciate the work of all people who share information with others. Great Blog! This is an interesting and so well maintained blog. Whole article is too good and well written. Pretty good post. I found your website perfect for my needs. Thanks for sharing the great ideas. Great post about this. I am sure my visitors will find that very useful.